We can undertake a study of your needs and offer, customized- technical, commercial and financial solution to meet specific needs. Solar powered houses are not a rare phenomenon these days. Solar installations are mostly done to serve for a very long period, generally 20-25 years. Therefore, it becomes imperative to be very careful about technical aspects before installation is done. 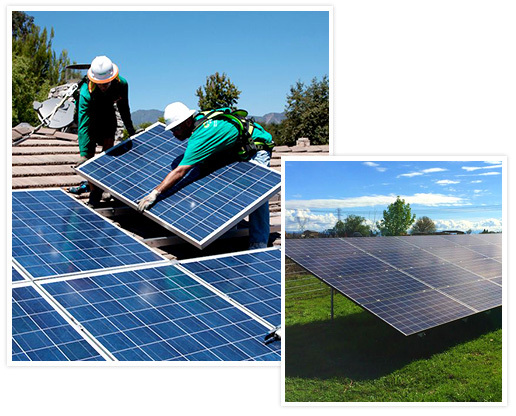 Solar installation of any form, rooftop or ground mounted, require wiring and capacity planning and panel placement. For all these processes, AYANA RENEWABLE POWER technical team designs and executes the projects with best practices and industry standards in consideration to avoid any technical anomaly in future. Solar installations are designed to work efficiently for years. Therefore, they require little maintenance to keep them working in order. AYANA RENEWABLE POWER plans and designs the installation to meet the requirements of the property avoiding any extra generation. However, if there is any excess generation then in some cases, net metering benefits provided by Discoms may be utilized. The cost of a solar installation primarily depends upon property layout, required capacity and various other factors. However at AYANA RENEWABLE POWER, we provide solar installation with zero investment from your end. The cost of material and installation is borne by AYANA RENEWABLE POWER. At AYANA RENEWABLE POWER, we take care of the operation and maintenance of the solar installations and its periodic examination. Client does not have to bear any cost of maintenance. The team of experts at AYANA RENEWABLE POWER works relentlessly in getting all the permits and clearances from the government required for solar installation. For this only a little assistance from the client end is required. This ensures that customers can enjoy a hassle-free power supply without worrying about compliance issues. Sun is a renewable source of energy. It is not only inexhaustible but also available in abundance. Tapping solar radiations to generate electricity does not produce emissions thus it helps prevent air pollution. Most of the fossil fuels used for electricity generation release huge amount of carbon dioxide emissions in the atmosphere which is one of the major causes of global warming and climate change, that has caught global attention.